Our philosophy is that every cup of tea is a connection between people. This philosophy extends from start to finish when it comes to a drinking a cup of tea. For us tea is sacred. It is ritual. It is art. It is spirit. We seek to manifest visibly the ritual of interdependence with every cup. There is the obvious connection that you experience when you drink tea with a friend or acquaintance. You sit down, imbibe the warm liquid and like happy song birds tell stories of your days to one another. Tea in this way is soothing and builds companionship as well as helps create joy in the daily journey of life. To get you the best cup of tea we pay attention to other details of connection and interdependence. 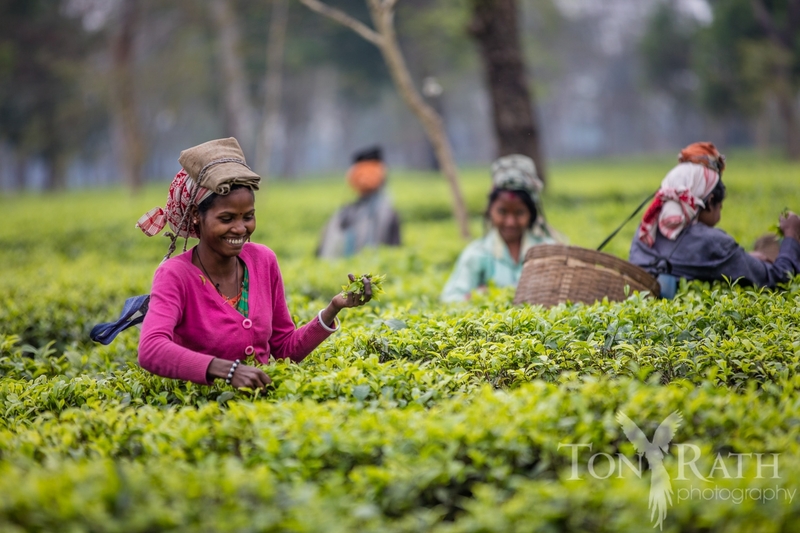 We source our teas from ethical farms and plantations like the Chota Tingra Assam estate. They use organic farming and fare wage practices. This helps us insure that the tea you are drinking in our Chai is filled with the energy of contentment and happiness from the time it is planted to the time it is harvested. Once the tea has arrived in our hands, we say prayers and mantras over the tea as well as put our own minds in the experience of meditation as we prepare it. This is why we say our tea is prepared with love and meditation. Each tea batch is prepared and brewed with the following prayer. The details of the mind while preparing tea make a difference. That is why we make sure the tea is prepared with the right mindset. If you are angry and make a meal, the meal will not taste good, it might even give you indigestion. No chai or tea is prepared by us with angry music on, or when the brewer or preparer is in a bad mood. I encourage our tea brewers and blenders to go home and come back later if they are in a bad mood. We understand that even the intention and mind frame makes a difference in the quality of your drink. That is the level of detail we are paying attention to when we craft your tea. This is our intention for you when you share our tea with your self and others. To create a better connection between people and the world with every sip.